School education in Australia is generally good, but it should be better. The federal government provides about one-third of total funding for school education, but it’s state and territory governments that run schools. State government policy is therefore a key lever for lifting student outcomes. 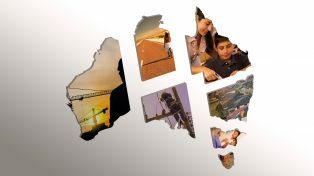 The Grattan Institute’s State Orange Book 2018 shows how state and territory governments are performing on the issues that matter to Australians, and what they should do to improve. government funding to state government schools as a proportion of their funding target. Student progress and achievement are two sides of the same coin. Progress is the best way to understand how much schools contribute to learning. Achievement in Year 9 reflects what students can do as they get closer to leaving school. The picture that emerges from these metrics is nuanced. Queensland was the star performer in primary school progress, but its Year 9 achievement was some way below the highest-performing states. New South Wales and Western Australia were good at supporting high-achieving students in secondary school. They also reduced the proportion of Year 9 students who were at or below minimum standards. But the rate at which their students learn in primary school was middle-of-the-pack. The ACT performed well in Year 9 NAPLAN, largely due to its relatively advantaged population. But on a like-for-like basis, ACT students made two to three months less progress than the national average in primary school. Our recent Measuring Student Progress report showed the same is true in secondary school. In 2017, Victoria spent the least on its government schools. Does this mean Victoria is more efficient than other states? That’s a hard argument to make when it didn’t out-perform in the other three metrics. South Australia needs to lift its game; it performed below average on the outcome and equity metrics, whether or not socioeconomic advantage was taken into account. Tasmania and the Northern Territory both performed better than expected in primary school, once their socioeconomic disadvantage was taken into account. But they still have the highest proportion of students at or below the Year 9 national minimum standard, perpetuating intergenerational disadvantage. School education in Australia needs to improve in three distinct ways. First, we need to improve the teaching of core academic skills. Content still matters, even in the era of Google. Mastering content helps underpin more advanced abilities such as the ability to appraise and apply knowledge. Second, we must go beyond traditional academic skills and content. Skills such as critical thinking, collaboration, resilience and initiative are important in preparing young Australians for their lives after school. We need to figure out how best to measure and teach these skills. Third, we need to reduce the gaps between the educational haves and have-nots. Looking beneath the headline metrics, the students making the slowest progress in every state are those in the most disadvantaged schools. And, as we showed in our 2016 report Widening Gaps, the students who miss out most are bright children in disadvantaged schools. 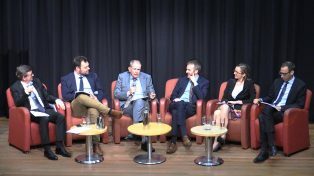 There are pockets of great teaching practice across Australia, but also pockets where teaching needs to be more effective. We should build on what is working best, as well as learning lessons from overseas. To lift teaching effectiveness, state governments need to create adaptive education systemsthat enable continuous improvement by design, not by chance. This means getting much better at selecting and spreading what works best. The goal is not for all teachers to teach the same material in the same way, but for all teachers to use practices that have been shown to work, and to adapt them to meet the needs of their students. To work this way, teachers need better data on the learning progress of each of their students, as well as their achievement. State governments can help by making it easier for teachers to identify high-quality classroom assessment tools and resources. State governments should also create explicit jobs for top teachers, to use their subject expertise to spread effective practice within and across schools. Simply reading about what works is not enough to improve teaching; teachers need to see good practice in action, try new ways of working, and get specific feedback. Most states have tried coaching programs, but they often chop and change, and coaches are not always subject experts. We need a much more systematic approach. At the same time as investing in supporting front-line teachers, states should work on strengthening the evidence base about what works well in the classroom. This includes randomised controlled trials and quasi-experimental approaches that confirm whether a promising teaching approach really delivers the goods. It also includes better information about what practices are being used in classrooms today. State education departments need to develop new ways to work – neither centrally controlled nor fully devolved – if they’re to become truly adaptive. Adaptive improvement is happening in schools all over Australia. But too often it is disconnected and led by individuals who may move on, rather than being part of the normal way of working. At the moment, no state or territory has all the answers. Each should learn from the others and do better, in pursuit of a national imperative: providing the best education for all children.